I’ve always found a sense of peace when spending time in nature– a walk in the woods reminds me to slow down and helps me become re-centered. I designed a shawl that was inspired by the natural colors I often come across on these walks– the colors of wood, stone, straw & bone. 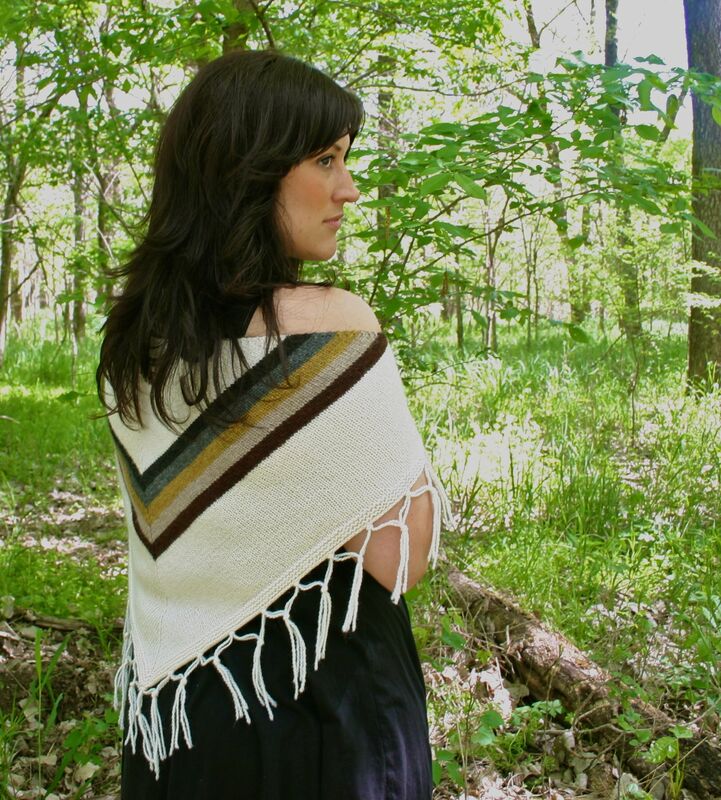 The lightweight yet wooly shawl is perfect for keeping the chill away when you are walking through the woods. My lovely friend Felicia was kind enough to model the shawl for the photos and I am finishing up the pattern and having it tech edited. Stay tuned for the pattern’s release!